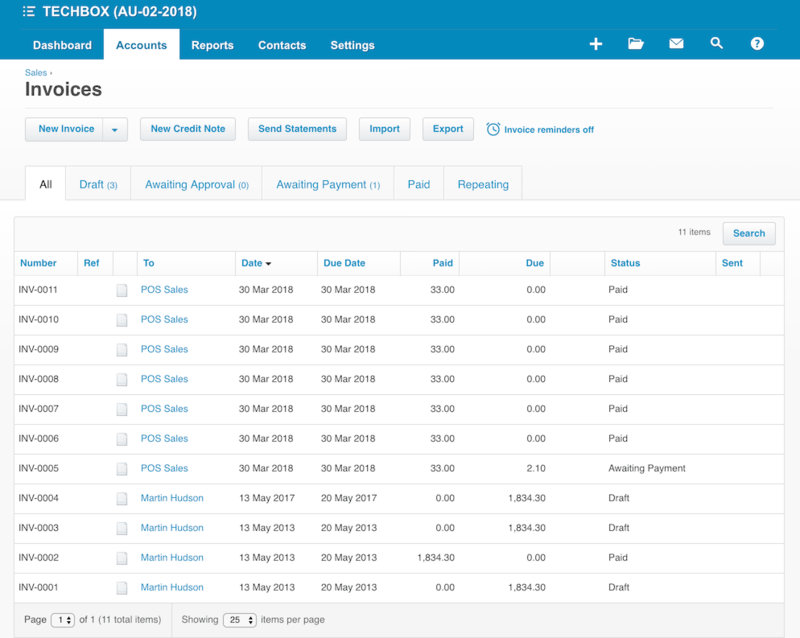 Xero Integration allows user to integrate between MobiPOS and Xero Accounting Program. This guide will include an overview of the setup, functionality, and steps to integrate your existing Xero account. To use Xero Accounting Integration, user will first need to setup an account at Xero website or have an existing ones. Next, login to MobiPOS CloudSync, then click onto user's account, follow by Xero Integration at the top right column. It will then redirect users to the page as shown below to perform login. Key in your Xero account email and password and click Login. 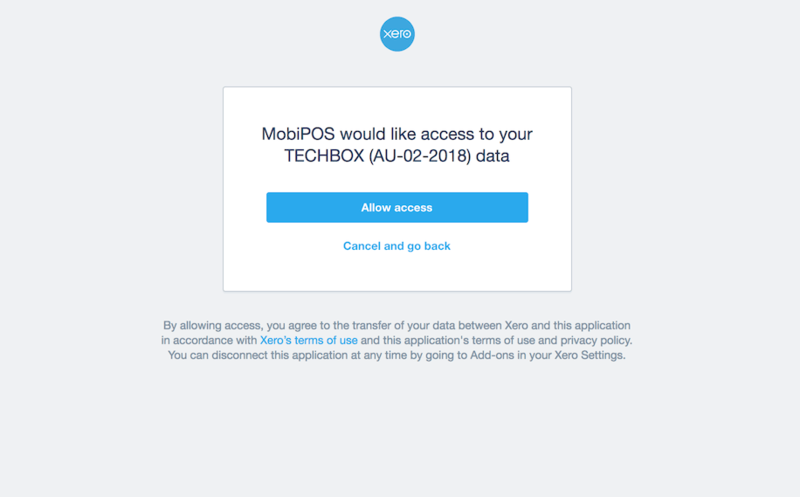 This step is required only for first time login or when the user has disconnected MobiPOS from Xero previously. After that, the page will be redirected for access approval. Click Allow access as shown in the photo below. Upon allowing access, it will lead you back to MobiPos CloudSync website. Currently, MobiPOS can only send Invoice & Payment to Xero. User is required to map each account type to the respective account in Xero. 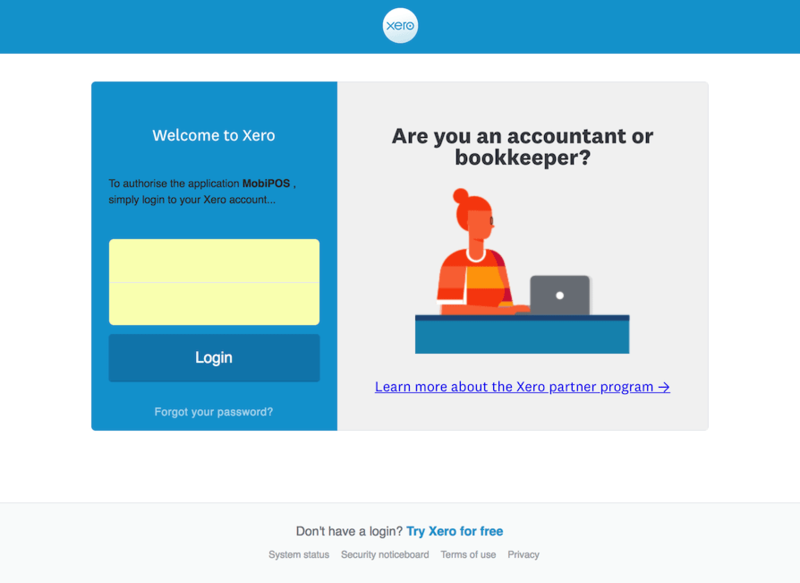 All the account types should have been set up at Xero Accounting. On the left, each row represents account data coming from MobiPOS to be sent over to Xero account on the right. When all account is mapped, click Save Settings. If there is any chart of accounts that is not mapped to their respective categories, report will not be sent through. If there is any changes made at Xero, retrieve all newly created chart of accounts by clicking on Refresh Xero Accounts. 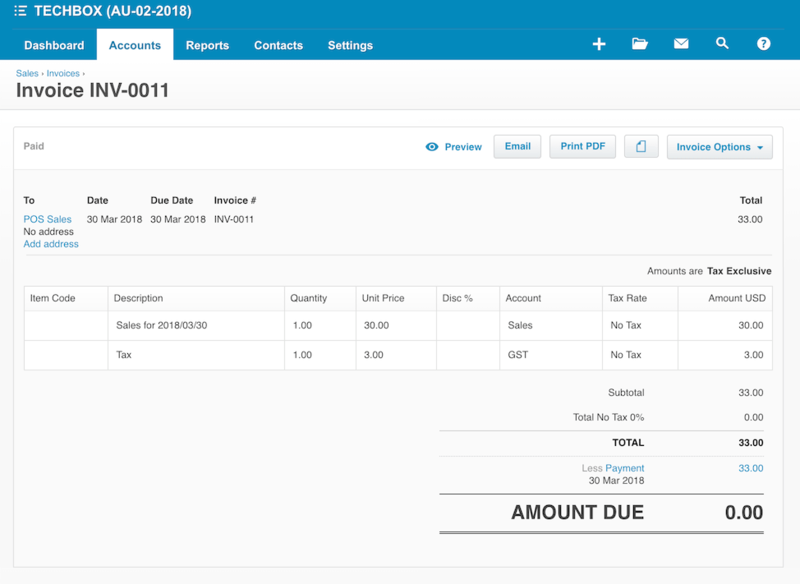 Do note that user is required to send Xero invoice entry manually. 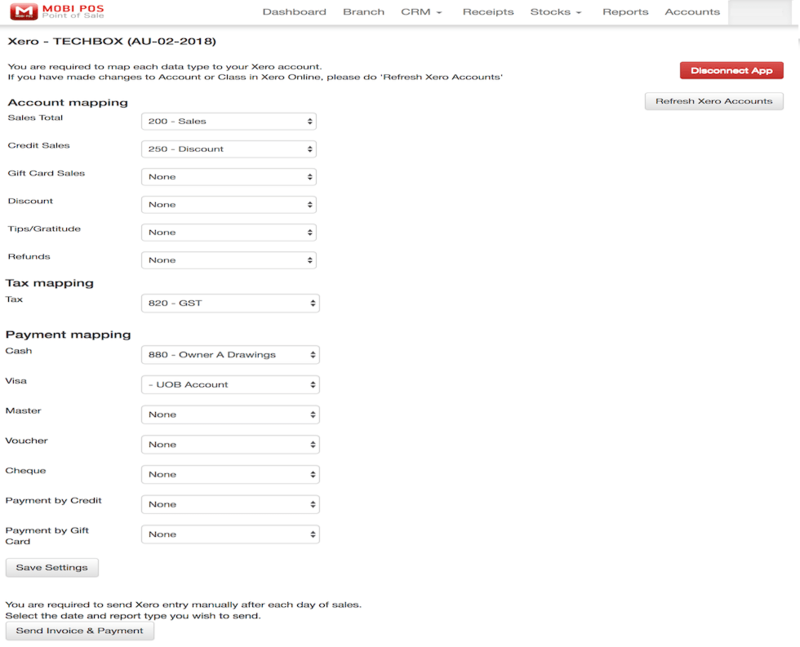 In order to do that, click Send Invoice & Payment located right at the bottom of the page. Choose the desired report type and date then click Send Report. If the report is successfully sent to Xero, success message will be shown beside. Click on the blue URL link to view invoice that was just created in Xero website. Upon clicking Send Report, if the page is redirected as shown in screenshot below. This indicates that the report has not been sent and user is required to perform login again. Upon selecting Allow access, the page will then be redirected back to MobiPOS Xero configuration page. User has to repeat the send invoice & payment process again to send the report. 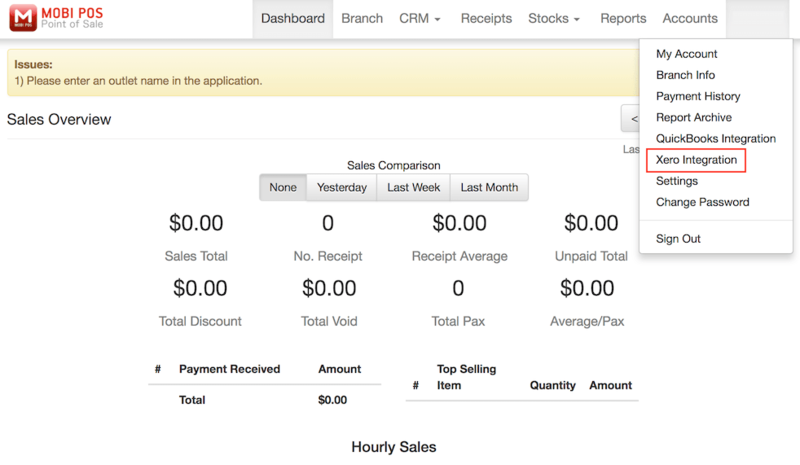 Screenshot shown below is a sample of the invoice & payment report sent from MobiPOS to Xero. 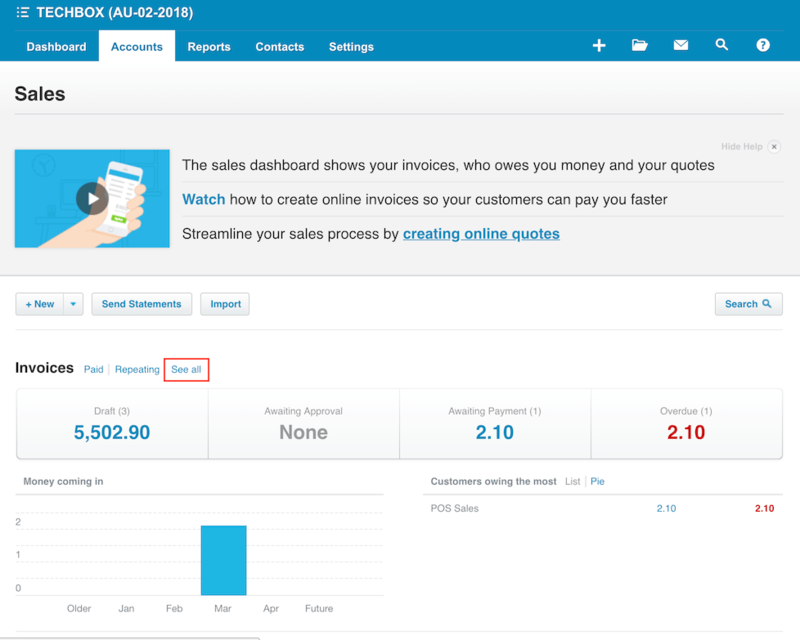 User can also view all the reports in Xero website. Upon login, go under Accounts -> Sales. Then, select See All tab. All the invoices will be shown as below.